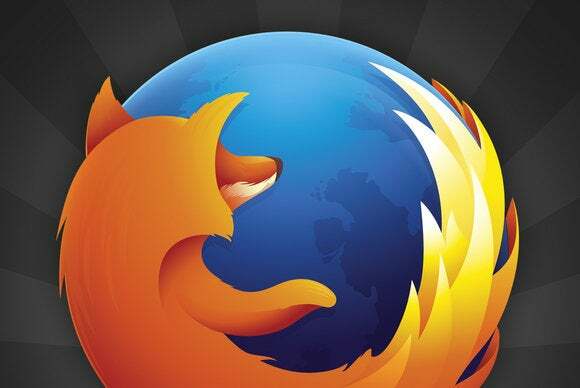 As we’ve mentioned previously, Firefox’s vast library of add-ons makes it easy to build the browser into a productivity juggernaut. We uncovered a few more must-have customizations for improving your online workflow. The Firefox start tab isn’t exactly motivating; in fact, you’re more likely to be seduced by the search bar into wasting time than starting on the day’s tasks. This add-on kickstarts your productivity by making your essential sites and services the first thing you see when you boot up your browser. 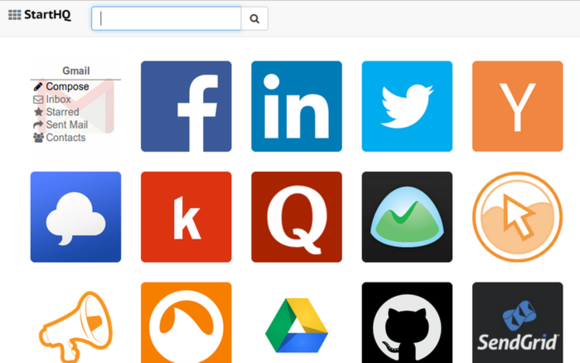 StartHQ turns turns the Firefox start page into a productivity dashboard. StartHQ assembles all your commonly used web apps, social networks, and other cloud services into a kind of productivity dashboard. Hovering over an app’s icon reveals “deep links” to its often-used functions. You can group similar apps together on multiple screens as you would on a mobile device, and even search across most popular cloud service right within the tab. If at the end of the day you’re staring at a full to-do list wondering where the time went, you need this add-on. Get a picture of your productivity with the Rescue Time add-on. 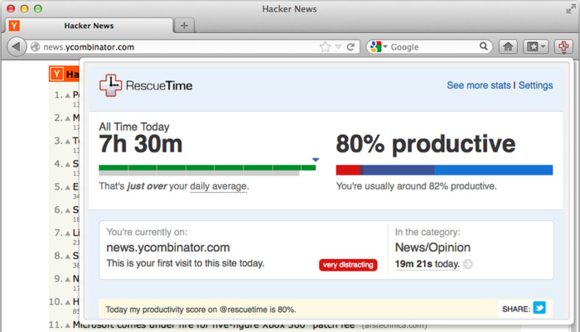 Rescue Time tracks the time you spend online and gives you detailed reports on where and how you’re spending your time. Sites are auto-categorized and scored on a scale from “very productive” to “very distracting.” The result is a stark picture of your productivity—or procrastination—so you can reclaim those lost hours. X-Notifer lets you know how many unread emails you have in your various inboxes. Constantly stopping what you’re doing to check your email is one of the most disruptive productivity habits. And it gets exponentially worse with each email account you have. X-Notifier helps you manage your inbox addiction by checking all of your linked email accounts and notifying you—in a pop-up window, the Firefox status bar, or a sidebar—of the number of unread messages you have. The add-on supports most popular email services and protocols, and can be configured to support sites like Facebook, Twitter, and LinkedIn by user script. As you can tell from its name, this add-on streamlines one of the most basic browser functions. Normally, you have to dig through the folder hierarchy on your hard drive each time you want to save a file. With Save File To, you don’t even have open the Save dialog. 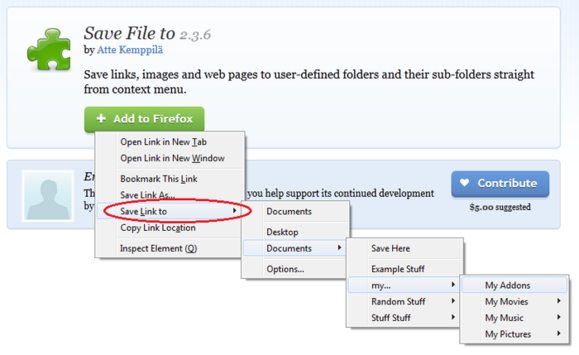 Just right click on a file and choose one of the “save to” options (links, image, page, etc.). The add-on automatically populates the menu with all your home-drive directories, which you can customize in the preferences. Save To File lets you save anything to your home directories from the right-click menu. 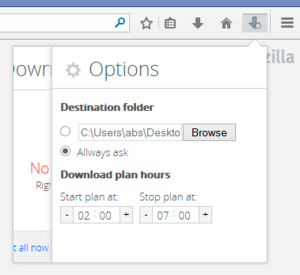 Download Plan lets you scheudule your downloads for off-peak hours. If your work entails downloading a lot of files, this add-on is essential. You can avoid peak times, bandwidth issues, and other impediments by creating a download schedule, organizing your links, and selecting where to save the files. Download Plan does all the heavy lifting, while you take care of other business.